TechLine Mfg. is a domestic manufacturer of Instrumentation & Electrical supports, and provides quality products to industrial jobsites and facilities around the world. The company has proven capabilities for supplying products to instrument and electrical bulk package providers for large scale domestic and export projects in sectors including LNG, Oil & Gas, Power, and PetroChem, among others. Established in 1982, TechLine Mfg. 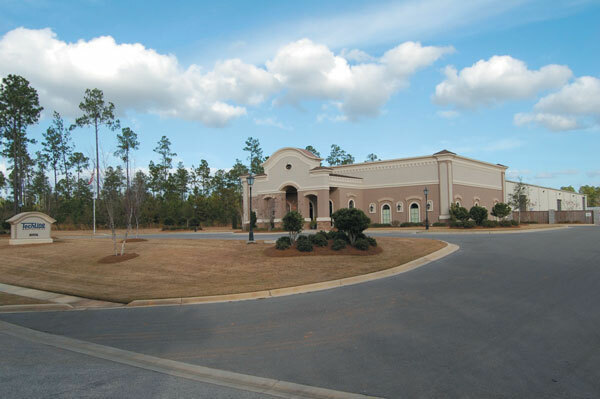 has about 50 employees working in its headquarters and factory located in Spanish Fort, AL., and in its Regional Service Center in La Porte, TX. Professionalism – We will always operate with the highest technical and ethical standards. Quality - Through continuous improvement and stringent quality controls we will provide the highest quality products in our industry. Customer Service -We will differentiate ourselves through a knowledgeable sales staff, flexibility to meet ever-changing customer needs, and superior customer service. Integrity - We will always strive to meet our customers' requirements. When unable to we will communicate honestly and provide effective alternative solutions. As part of our commitment to customer service, TechLine Mfg. is constantly listening to the needs of our customers and providing solutions. Through this process we were encouraged by contractors, engineering firms, and end users to develop Snap Track, an innovative ventilated channel tray system. It is used as an alternative to costly conduit runs, while providing the level of cable protection desired in the industrial market. Based on the overwhelmingly favorable response to Snap Track, TechLine Mfg. has evolved into not only a leading tubing and instrument support manufacturer, but also an innovative leader in the electrical cable tray market. TechLine Mfg.’s primary goal is to be a profitable world class manufacturer of instrument support and cable tray systems. We will continually design and provide industry with quality controlled innovative products and superior customer service. We will operate with the highest professional, ethical, safety and quality standards. The management team will continually develop policies and procedures to ensure these objectives are met, while fostering a team culture where all employees work toward these common goals, maximize their individual potential, and share in the results. TechLine Mfg. is proud to be affiliated with the following fine organizations, among others.